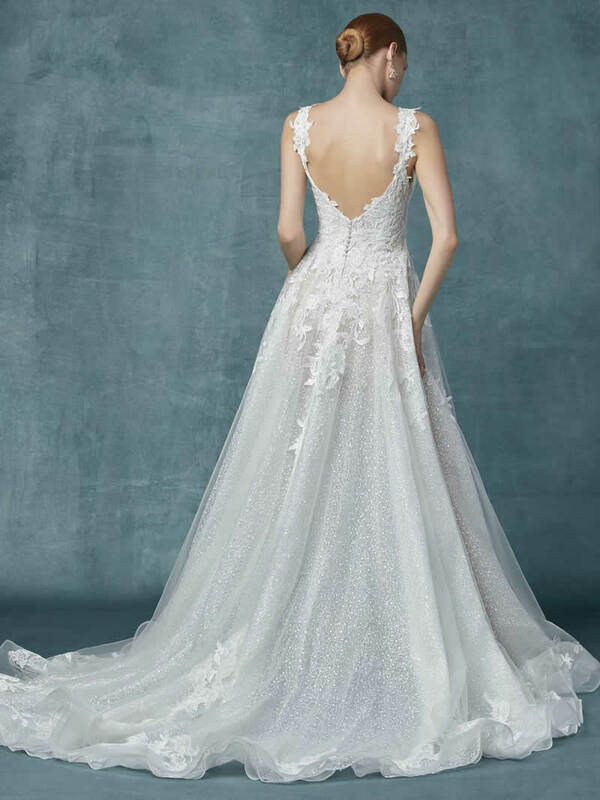 Romantic lace motifs drift over the bodice and hemline of this unique wedding dress, complementing the lined A-line skirt comprised of textured tulle. Lace straps glide from illusion plunging V-neckline to V-back. This style features a bodysuit that is made with shapewear. Finished with pearl buttons over zipper closure.